There's something about Autumn that seems to bring people around. The sun starts to fade and the visitors increase. 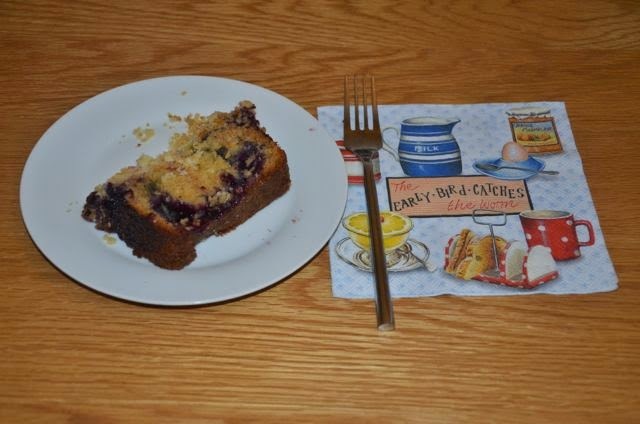 I love this time of year and I do my best to always have something to give guests who visit or friends that I go visit and this coffee cake is the perfect thing to have on hand. 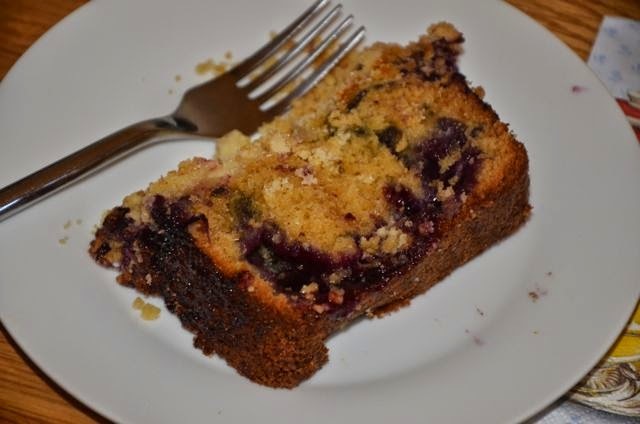 A slice of this decadent blueberry cake and a cup of coffee is all that's needed… Slice, pour and just add conversation! 1. Start with the filling by putting the blueberries and 100ml of water in a saucepan. Bring to a boil, then reduce the heat and simmer covered for 5 mins over low heat or until tender. 2. Combine 100g of sugar and cornstarch with a small wire whisk or fork in a small bowl and then stir into the berries. 3. Cook and stir over medium heat until thick and bubbly, then continue to cook and stir for another 2 minutes. Set aside. 5. Combine the 200g of plain flour, 150g of sugar, baking powder and baking soda in a mixing bowl using a wire whisk and set aside. 6. 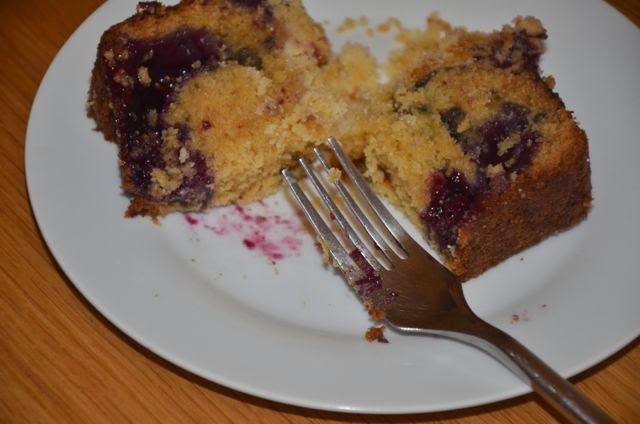 Cut the 75g of butter into the mixture with a pastry blender until it resembles crumbs. Make a well in the center and set aside. 7. In a measuring jug, combine the egg, buttermilk and vanilla. Pour the wet mixture into the crumbs mixture all at once. Stir until moist but still lumpy. 8. Spread half of the batter into an ungreased loaf tin. Then spoon in the blueberries on top, spreading to cover as required. 9. Drop spoonfuls of the remaining batter on top in lumps - this doesn't need to be neat or tidy and there's no need to spread it across the tin. 11. In a small, shallow dish, stir together the 40g of flour and the 40g of sugar. Cut in the 50g of butter with a pastry blender until it's a course, crumbly mixture. 12. Sprinkle the crumbs over the cake and bake for 45 − 55 minutes or until golden and cooked through.